I've got a new layout to share with you that I made using Summer Mood collection. This line is just FULL of bright happy colors, citrus accents, pinwheels and oodles of summery icons. It's all about summer. It's the best, tasty, lazy and carefree time and I look forward to this season all year! That's why I decided to use the photo of my youngest son while he was enjoying his birthday cake. 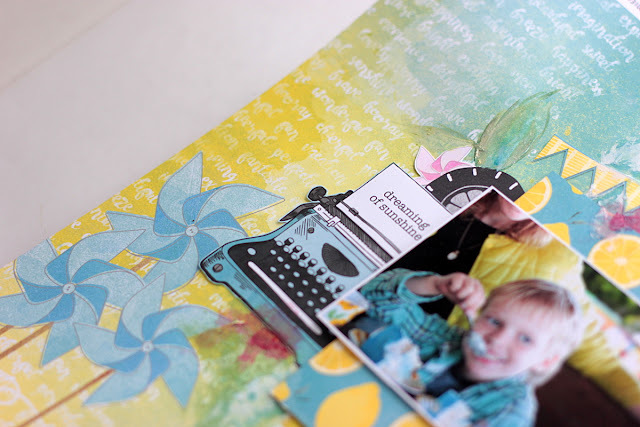 The picture coordinates so well with the color story in this paper line. To start with I chose the background paper that matches the colors in my photo, and then arrange several layers. 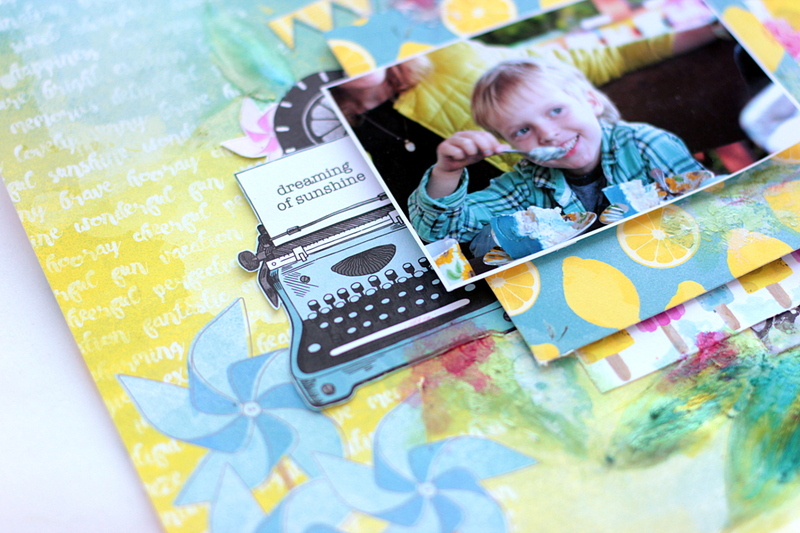 I really love the lemons paper sheet and used it as a main background piece for my photo. 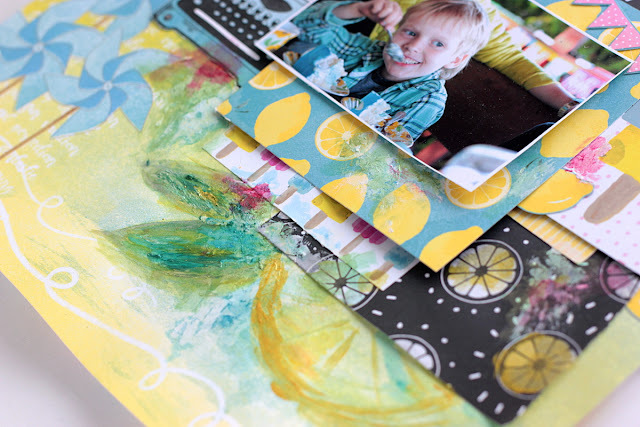 I also drew the lemon on the background page using my acrylic paints. 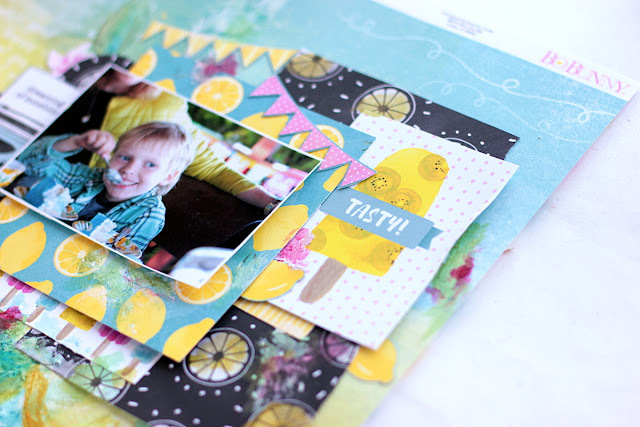 I am so looking forward for the summer and can't wait to create more with this fun collection! 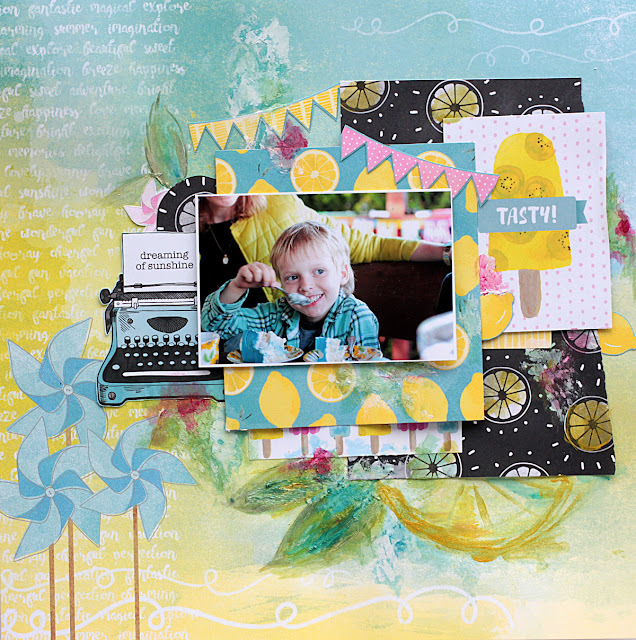 Stay tuned to the BoBunny blog for projects using Summer Mood!